As more mainstream vehicles, like the 2019 Ram 1500 lineup, get increasing levels of electrification, but stop short of becoming fully electric or even full-fledged hybrids, it can be easy to get lost in semantics. Generally speaking, the term “mild hybrid” means some energy can be recaptured by a motor/generator, but the motor might not be strong enough to power the vehicle on its own, without the gasoline engine. At the least, its system might allow the engine to shut off when coasting or decelerating. 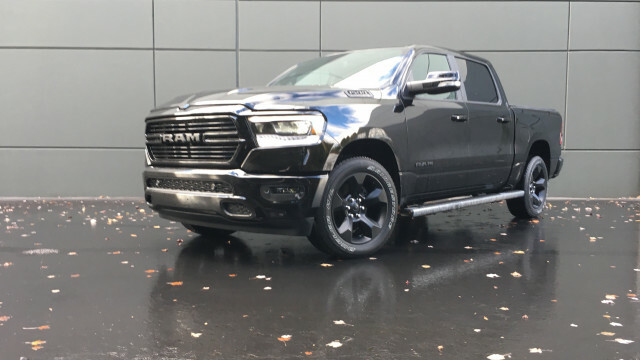 With its new eTorque system, which Ram is calling a mild-hybrid system, the Ram 1500 reads as one of those least-common-denominator systems. 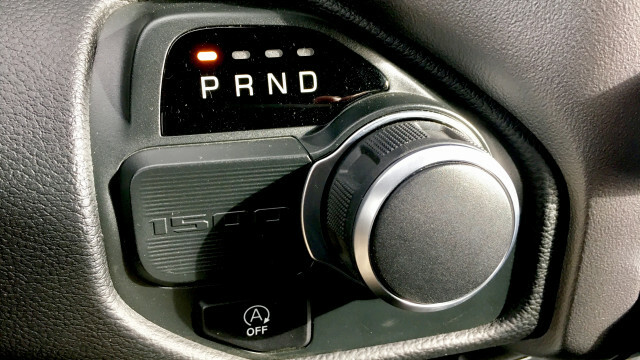 It can't move solely on electric power, and some who take the vehicle out for a test drive may just conclude that it amounts to a very smooth, unobtrusive engine stop-start system, allowing the V-6 or V-8 to shut off when waiting at traffic lights. 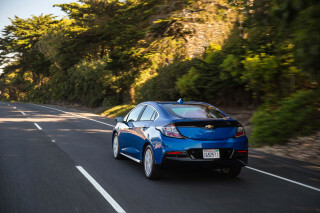 The eTorque system includes a battery pack with 12 pouch-format nickel manganese cobalt lithium-ion cells from LG Chem, supplied by the battery giant’s Holland, Michigan, facility (which also supplies the Chevy Bolt EV, Volt, and others). The modular power-pack unit, from Continental, includes an inverter and DC-DC converter. The system boosts fuel efficiency by 10 to 12 percent in real-world driving, Chrysler says—returning EPA fuel economy figures of up to 20 mpg city, 26 highway (23 mpg combined) in V-6 models, where it’s a standard feature. It’s optional on V-8 models. Commuters who drive pickups in stop-and-go traffic can save the most energy with eTorque. Even with Ram’s Multi-Displacement System (cylinder deactivation) in the Hemi V-8 models, the Hemi V-8 at a 90-second stoplight runs on all eight cylinders and uses 1.7 ounces of fuel. The stop/start capability built into eTorque can allow the engine to be stopped for up to 10 minutes, depending on accessory and climate-control use. 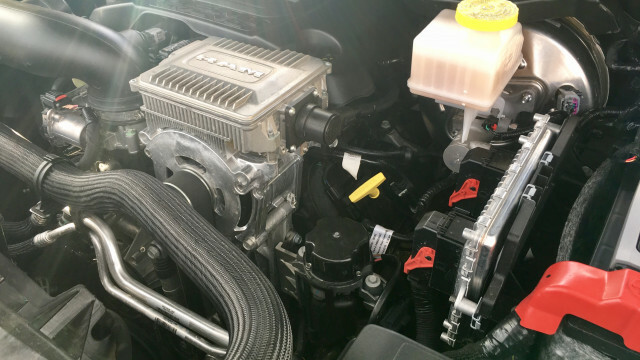 A few weeks ago, FCA spokesman Nick Cappa, aided by vehicle electrification manager Brian Spohn, ran us through all of eTorque's abilities, to underscore that eTorque is doing a lot more than taking some load off the engine and enabling stop/start. Smoothing the stops and starts. The system does more than restart the engine quickly at stoplights; it takes advantage of the belt-alternator-starter components’ ability to actively damp vibration when shutting the engine off by delivering torque to counter the rotation in pulses—pulses that match the shudder of the engine cylinders’ compression and rotating mass. It does the exact opposite on start-up, pushing torque into the engine on a pulsating basis, matching the compression cycles to smooth the whole affair, and the system, as Cappa put it, is “doing everything it can” to cancel out the engine’s vibration when being started and stopped. 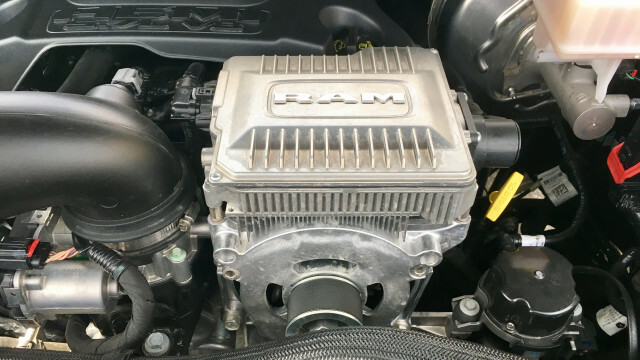 FCA also credits the fact that there’s another level of separation in the Ram’s body-on-frame construction, and motor mounts that can take advantage of that. Stepping out. 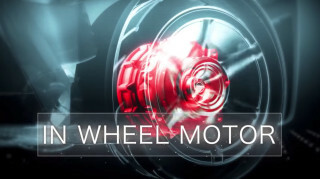 The motor provides a significant push, quickening the launch for the first half wheel rotation and helping efficiency. But because the torque curve of either gasoline engine is so steep, it overruns the torque of the relatively small electric motor quickly. According to Spohn, as long as you’re moving the truck around at 30 horsepower (low-speed cruising and light acceleration), the motor does a lot discernible to the truck’s behavior. At higher loads and in stronger acceleration, not so much. In all, the system adds 90 pound-feet of torque to the 3.6-liter V-6 and up to 130 pound-feet to the V-8—a significant amount, but only at very low revs. The electric motor’s output of up to 16 hp doesn’t get figured in because it spins three times for every turn of the engine and by the time the engines reach their peak power the electric motor output is negligible. Smoothing shifts. Once the truck is rolling forward and accelerating, engine revs are reduced and matched to the next gear with the electric motor. Ram is actually getting some regeneration from each of those upshifts—a negligible amount, but it saves the transmission clutches that normally do the task. On deceleration, the motor actually blips the engine to help match revs and smooth downshifts. The electric motor and power systems can switch from full output to full regeneration in as little as 60 milliseconds, but the limitation is the belt system. Energy back. Lift off the accelerator at higher speeds especially, and most of the deceleration you feel is from the eTorque system recovering energy, according to Cappa. Less load to keep the 12V battery charged. According to Cappa, the system keeps the 12-volt battery charged up and all of the accessories running much more effectively and efficiently than an alternator would. All of today’s 12-volt components in the vehicle can run the accessory battery dead in about 10 minutes. Pre-emptive cooling. If you’re going down a long grade and both batteries are already fully charged, eTorque keeps generating power, using the bonus current to overrun the cooling fans and pre-emptively cool the radiator—so that you can get more stop/start behavior (when the engine has to be in a certain temperature range). Although saving 2 mpg per truck might not sound as glamorous as going all-electric, on a fleet-wide basis, it adds up to a lot of fuel saved. Ram sells more than a half a million of its pickups per year.